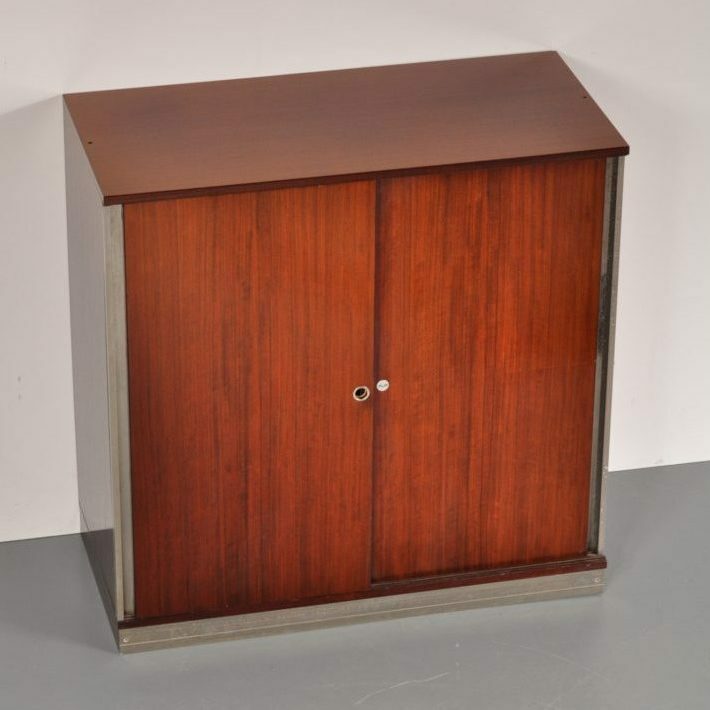 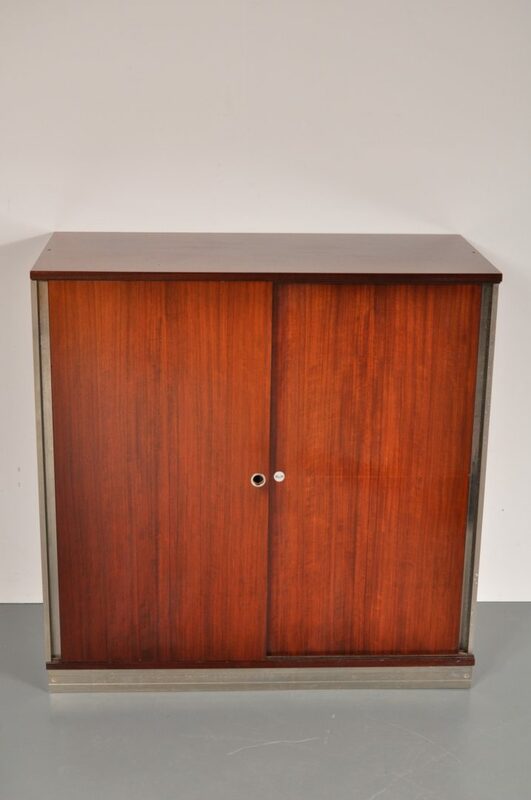 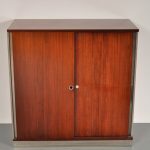 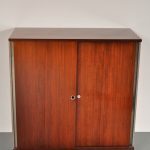 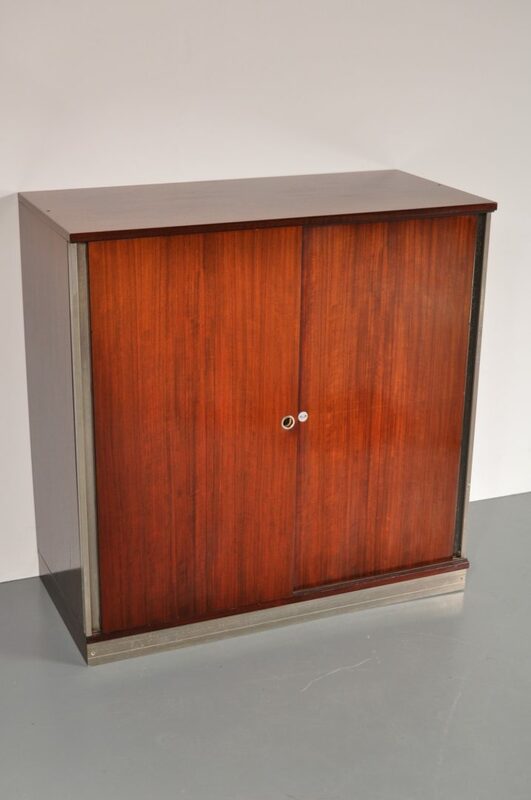 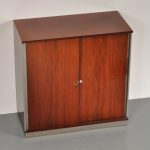 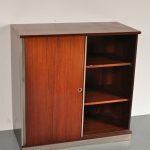 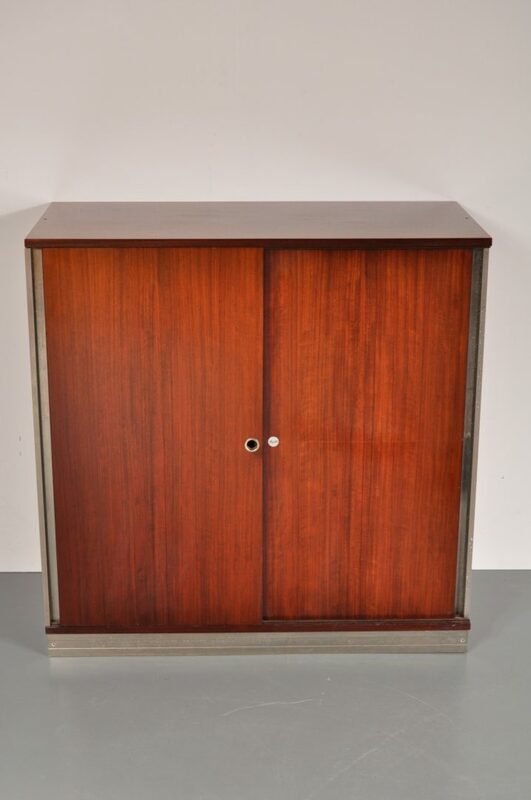 This nice quality cabinet is made of beautiful rosewood in a warm brown colour. 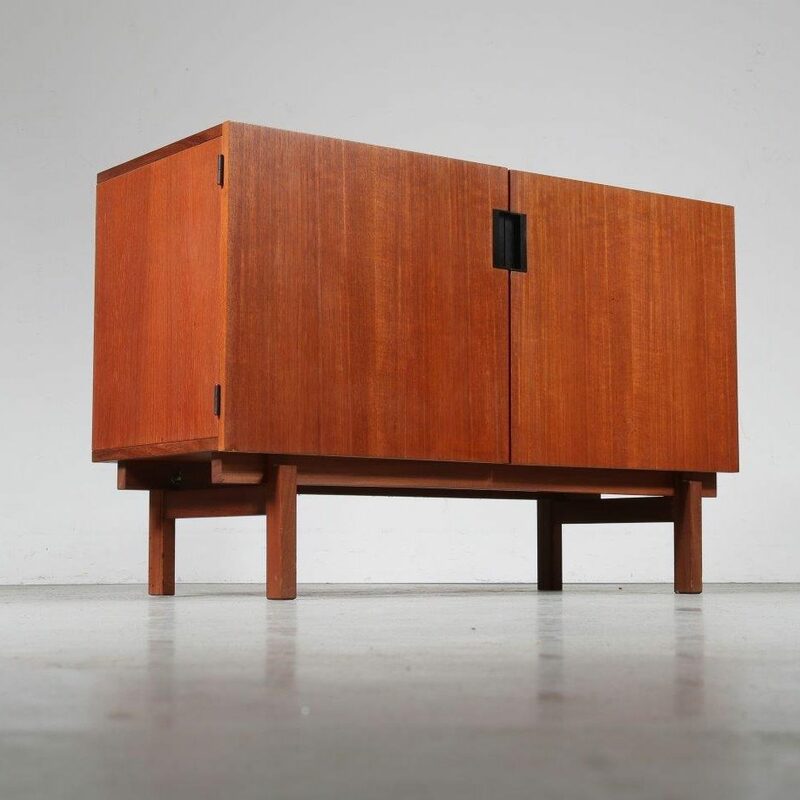 It has two sliding doors revealing several shells and plenty of storage space. 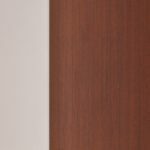 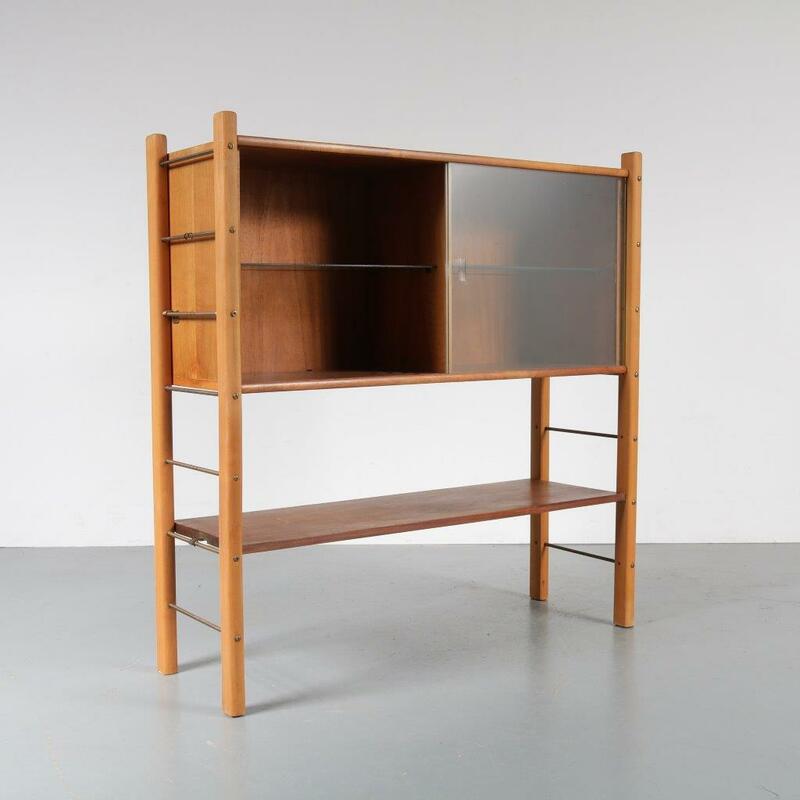 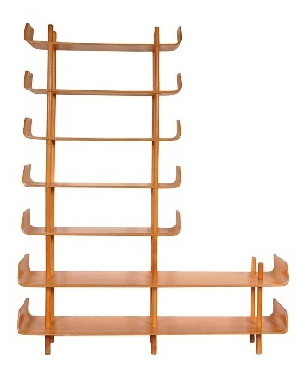 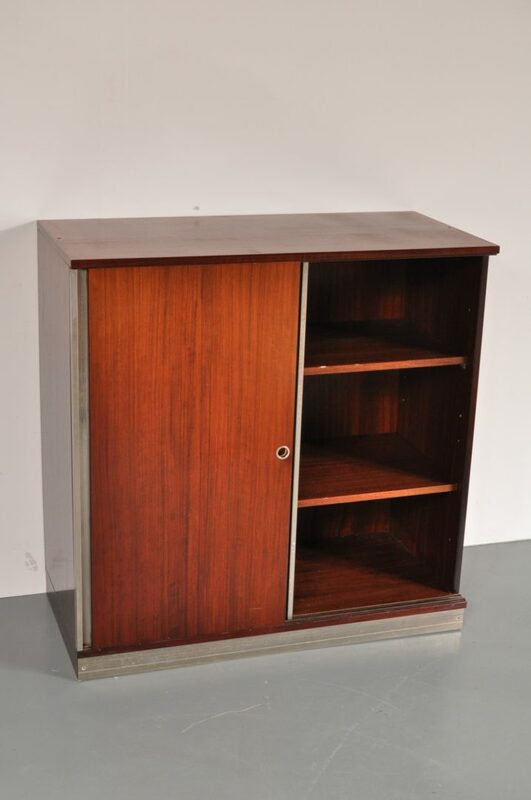 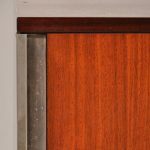 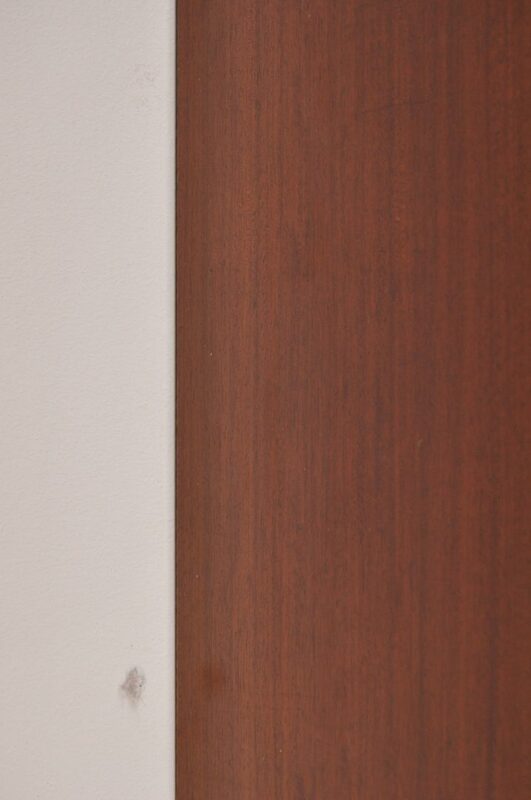 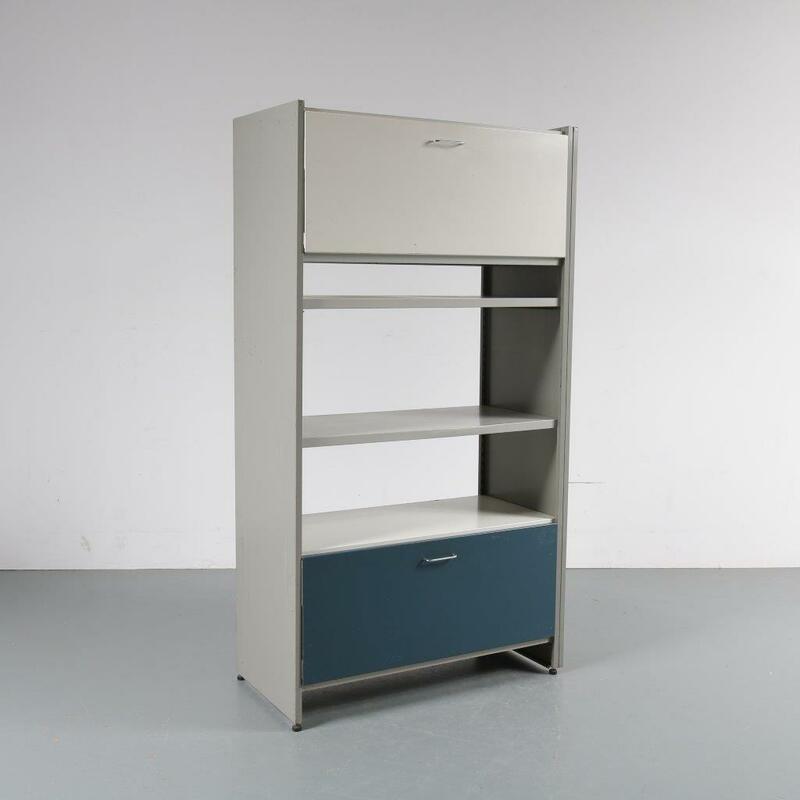 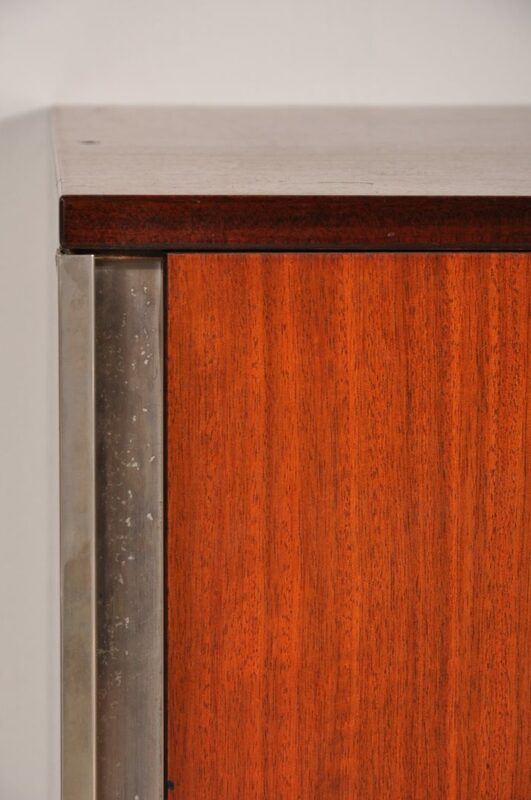 The sides have chrome plated metal strips, beautifuly framing the cabinet as a finishing touch. 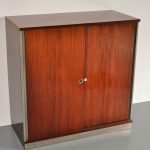 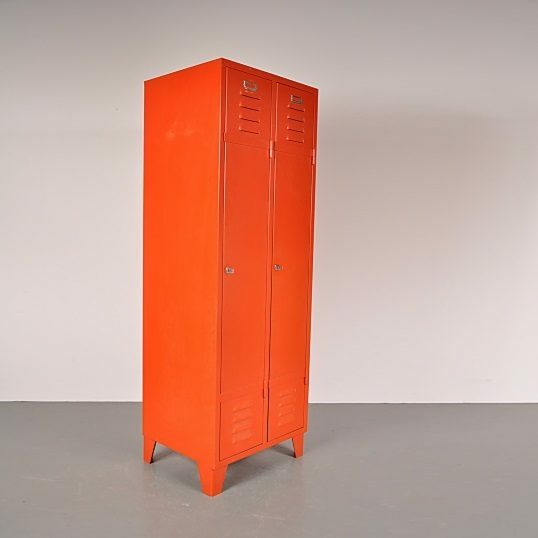 We have several available (see stock for current quantity), all cabinets remain in good vintage condition with a beautiful patina.